New great products for men by ..::OPOPOP Design::.. and exclusive creation by REBELLION at Swank! 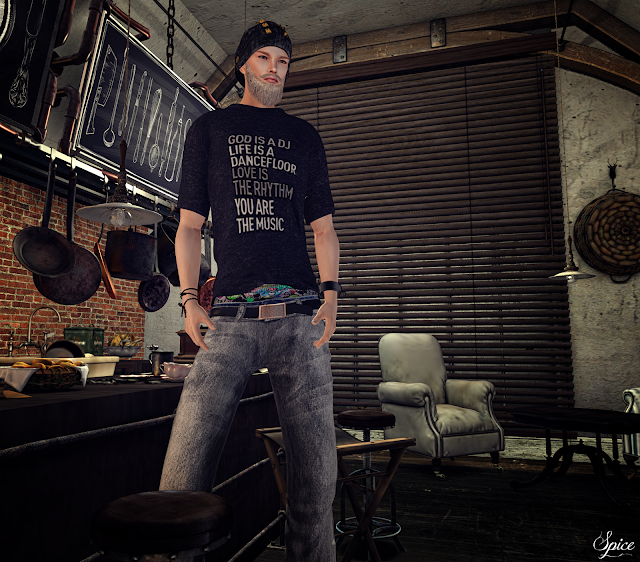 Spice is wearing the amazing "Florius Shirt" and "Wembley Jeans" by ..::OPOPOP Design::.. both available in many versions/colors and you can also customize the pants in many parts through the specific addons!!! Wow!!! The fantastic cap "Venon Beanie" by REBELLION is its exclusive creation for Swank event... really beautiful!!! 2 versions available V#1 without ripped, V#2 with ripped.